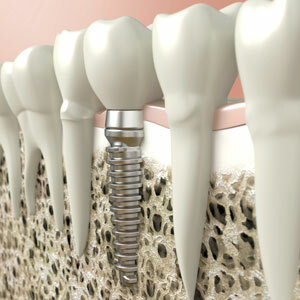 Dental implants are a quality long term solution for missing teeth. If you have a single tooth or multiple teeth that are missing, dental implants can be placed that give you the full look and function of a natural tooth. The Beaufort Street Dental Centre team can determine if you’re a candidate. If you are, we’ll refer you to an oral surgeon to have the implant placed. After it has healed, you’ll return to our practice to have a crown or bridge placed over the implant. Contact us today to find out if dental implants might be right for you. We’re preferred providers for HBF, BUPA and Medibank and accept all insurance plans. Call (08) 9272 1956.